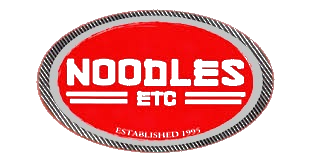 Noodles Etc is a family owned and operated Pan Asian restaurant since 1995. Noodles Etc’s MENU is sure to please everyone with variety of dishes from Thailand, China, Japan, Vietnam and the Philippines. We pride ourselves on serving generous portions, cooked to order flavorful entrees from the freshest ingredients delivered to our door 6 days a week. Since all our entrees are made to order, we also able to cater to any dietary needs. Please let our friendly staff know and we will do our best to fulfill your requests. We invite you to come and visit our dining room with friends and family for lunch or dinner or ORDER ONLINE for a convenient pick up or prompt delivery service. Vegetarian, Vegan and Gluten-Free options are available for most of our entrees, please ask your server for options. Copyright © 2019 Noodles Etc.